SCHOOLCHILDREN from Horsell and Ripley were among around 60 who took part in the 8th Surrey School’s Regatta at Papercourt Sailing Club. Some 20 schools took part in the event in Ripley in great sailing conditions in winds of 10-15 knots that became more challenging later on. 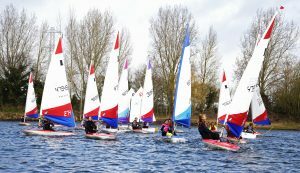 Papercourt Commodore Frank Brown said: “This is a great event to kick off the start of our summer season and it is great that so many schools are now supporting youth sailing. 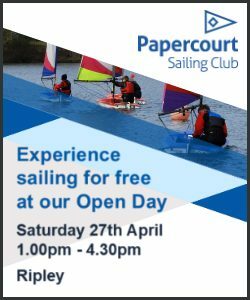 The next popular event to take place at Papercourt is the annual Open Day on 13 May, which gives non-members the opportunity to try sailing as part of the Royal Yachting Association Push the Boat Out scheme, aimed to encourage new sailors to take to the water.